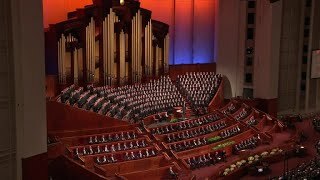 From the May 2018 Ensign — Music by the Tabernacle Choir; Mack Wilberg and Ryan Murphy, directors; Andrew Unsworth and Clay Christiansen, organists: “Sweet Is the Work,” Hymns, no. 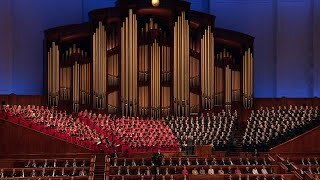 147; “We Thank Thee, O God, for a Prophet,” Hymns, no. 19, arr. 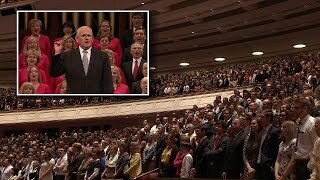 Wilberg; “We Listen to a Prophet’s Voice,” Hymns, no. 22, arr. 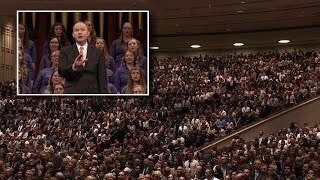 Murphy; “Press Forward, Saints,” Hymns, no. 81; “Tell Me the Stories of Jesus,” Children’s Songbook, 57, arr. 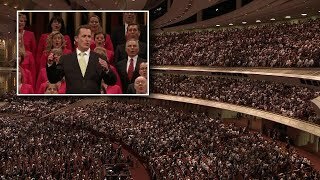 Murphy; “My Redeemer Lives,” Hymns, no. 135, arr. Wilberg. 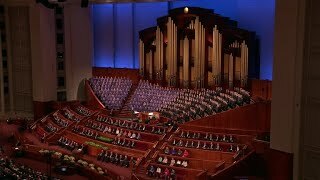 From the May 2018 Ensign — Music by a combined choir from institutes of religion in Salt Lake City, Utah; Marshall McDonald and Richard Decker, directors; Linda Margetts and Bonnie Goodliffe, organists: “Come, Listen to a Prophet’s Voice,” Hymns, no. 21, arr. 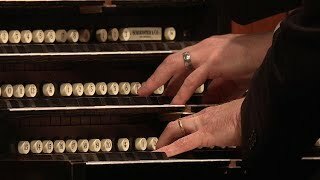 Matthews and Goodliffe; “Where Can I Turn for Peace?” Hymns, 129, arr. 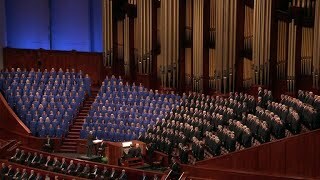 McDonald and Parker; “Choose the Right,” Hymns, no. 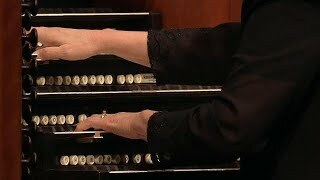 239; medley, arr. 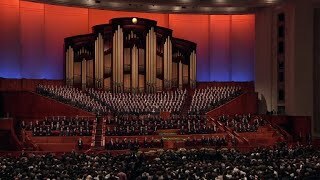 McDonald: “As Zion’s Youth in Latter Days,” Hymns, no. 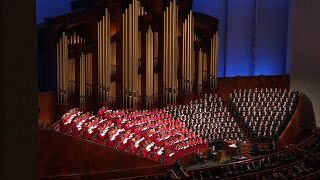 256, and “The Iron Rod,” Hymns, no. 274; “I’ll Go Where You Want Me to Go,” Hymns, no. 270, arr. Wilberg. 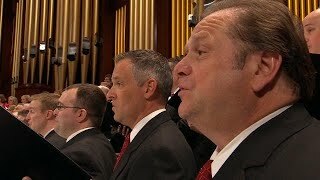 From the May 2018 Ensign — Music by a priesthood choir from Brigham Young University–Idaho; Randall Kempton, Paul Busselberg, and David Lozano-Torres, directors; Brian Mathias and Andrew Unsworth, organists: “How Firm a Foundation,” Hymns, no. 85, arr. Busselberg, pub. 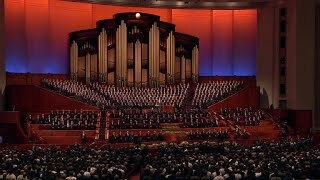 by Sharpe Music Press; “Father in Heaven,” Hymns, no. 133, arr. Busselberg, pub. 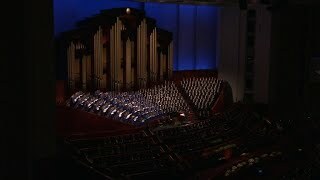 by Sharpe Music Press; “Praise to the Lord, the Almighty,” Hymns, no. 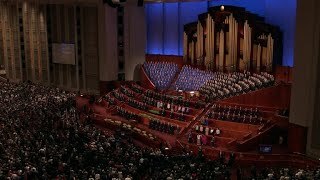 72; “Rise Up, O Men of God,” Hymns, no. 324. 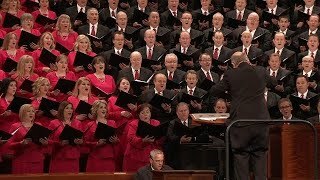 From the May 2018 Ensign — Music by the Tabernacle Choir; Mack Wilberg, director; Clay Christiansen and Richard Elliott, organists: “On This Day of Joy and Gladness,” Hymns, no. 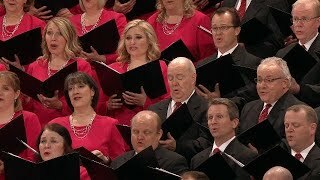 64; “Christ the Lord Is Risen Today,” Hymns, no. 200, arr. Wilberg; “He Sent His Son,” Children’s Songbook, 34–35, arr. 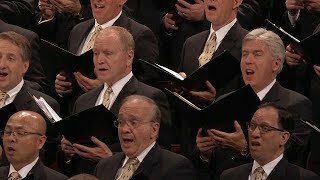 Hoffheins; “Rejoice, the Lord Is King!” Hymns, no. 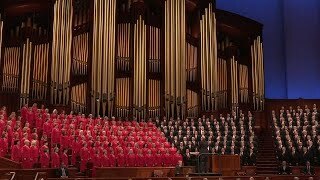 66; “He Is Risen!” Hymns, no. 199, arr. Wilberg, pub. by Oxford University Press. 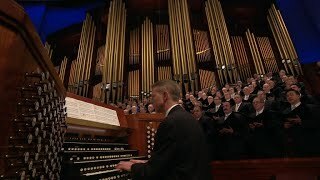 From the May 2018 Ensign — Music by the Tabernacle Choir; Mack Wilberg and Ryan Murphy, directors; Richard Elliott and Brian Mathias, organists: “Brightly Beams Our Father’s Mercy,” Hymns, no. 335, arr. 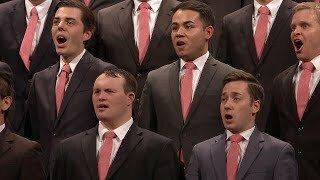 Murphy; “Dear to the Heart of the Shepherd,” Hymns, no. 221, arr. 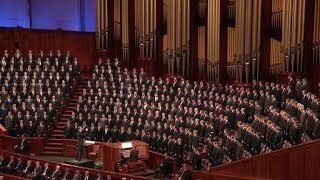 Wilberg; “Redeemer of Israel,” Hymns, no. 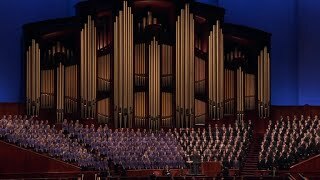 6; “Love One Another,” Hymns, no. 308, arr. 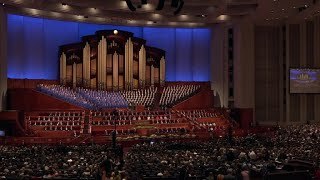 Wilberg; “Let Us All Press On,” Hymns, no. 243, arr. Elliott, pub. by Jackman.